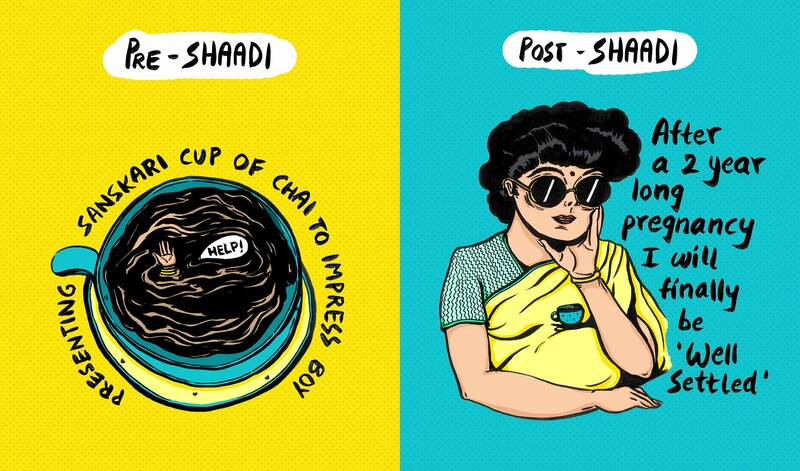 When Annushka Hardikar started on the final year project at her art college in Bangalore, she was struck by the idea to create something that told the story of the women around her. Having grown up with stories from the Mahabharata and the Ramayana, she found herself interested in their characters. 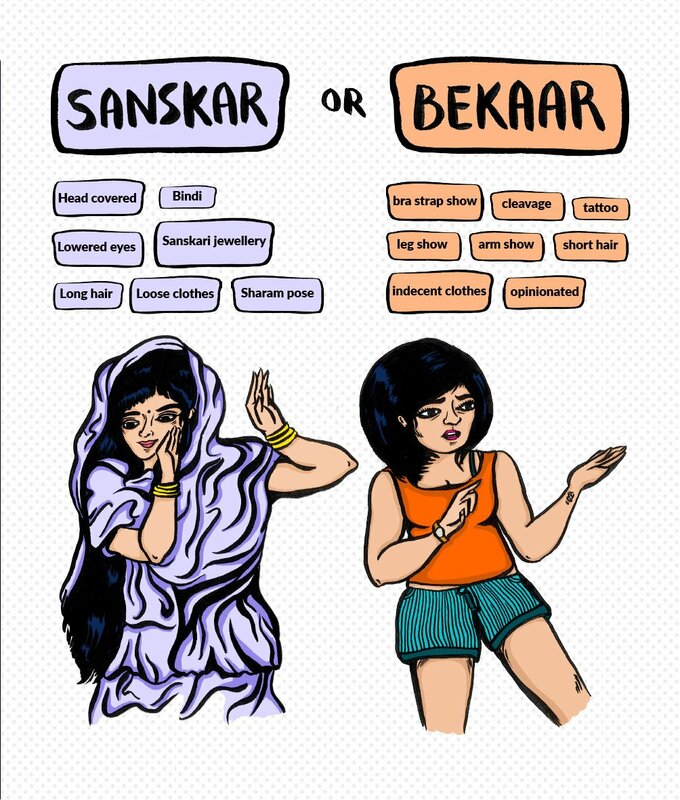 This is how her zine, Oh Nari, So Sanskari, came about. 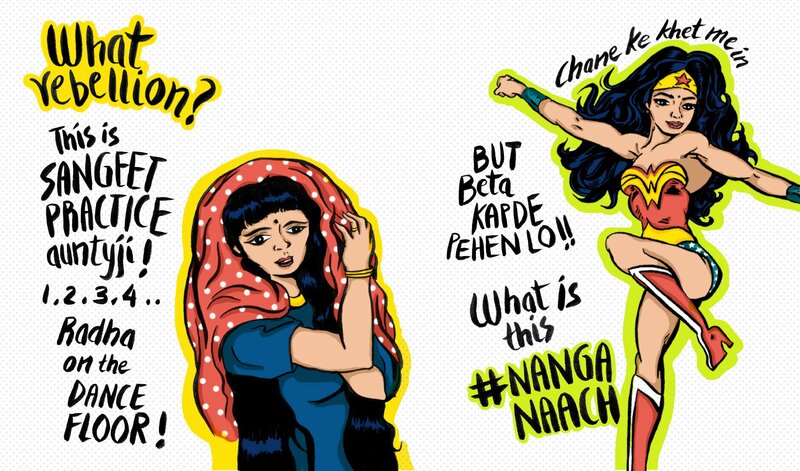 In an exclusive interview with Vagabomb, Annushka spoke about her art and why she re-imagined the women of Mahabharata to make a comment on today's society. Remembering her childhood, she spoke about how art has always been a very big part of her life. "I used to go to an art class that introduced me to collaging, origami, pottery, and many other mediums. So the decision to apply to design schools after 12th grade came very organically. I was pretty sure about what I wanted to do." Her work has always been very intuitive. Some days she just begins drawing and sees where it takes her. On other days, the process is more difficult. "I sit in front of my journal for hours, annoyed because I don't know what to draw," she said about the creative process. She candidly admits that her work depends on her mood, the weather, and how hungry she is. She also spends a lot of time following and interacting with other artists and designers on Instagram to understand their process. "Until recently I used to believe it's necessary to have a distinct personal style. But over time I realised people would recognise my work even when I experimented with different techniques and mediums. So that was really lovely," she said about the encouragement she has received from her peers and her admirers. She tells us that having grown up with stories from the Mahabharata and the Ramayana, she has always been interested in Indian mythology. "On re-visiting them in my final semester of college, I began noticing one-dimensional representation of many characters, mostly female, and that was disheartening," she said, explaining why she chose to reinvent the iconic mythological characters. She also feels that in times like these, when we're talking about empowering women, it is necessary that the stories we create convey those same thoughts. She was passionate about using mythology to express the sentiments of the women around her. She also wanted to remain true to the epics as much as possible. 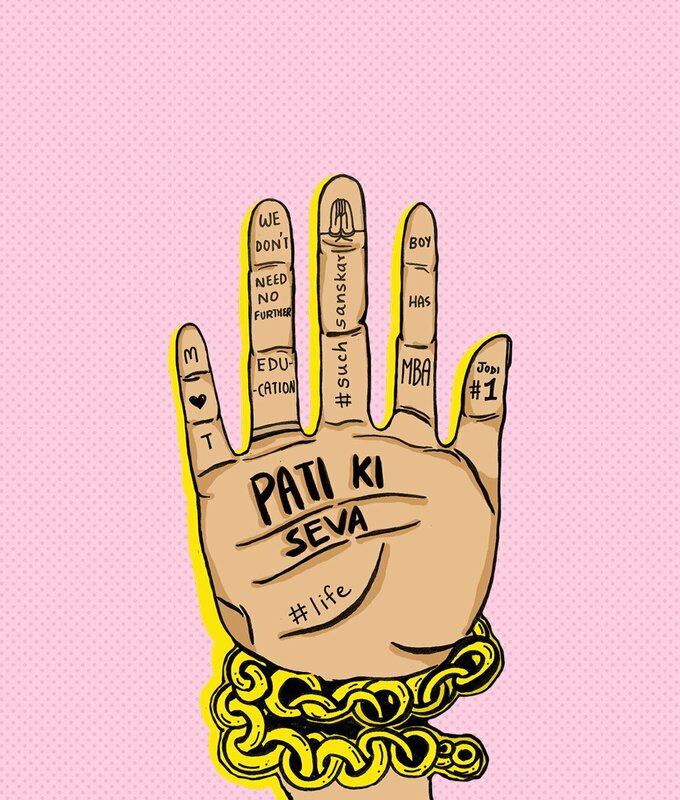 "For the epic to remain relatable to the new generation, I felt it needed to be re-interpreted to show perspectives, stories, and stereotypes, which exist for many Indian women today. 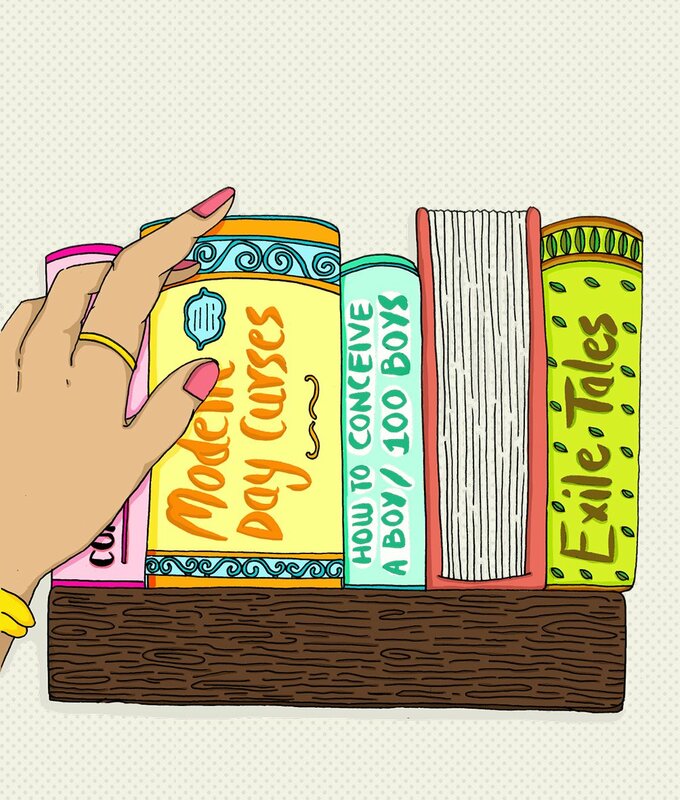 I used mythology as a springboard to address topics like sexuality, gender roles, marriage, feminism, and body image." She immensely enjoyed creating the content, and told us that it felt satisfying while she was working on it. 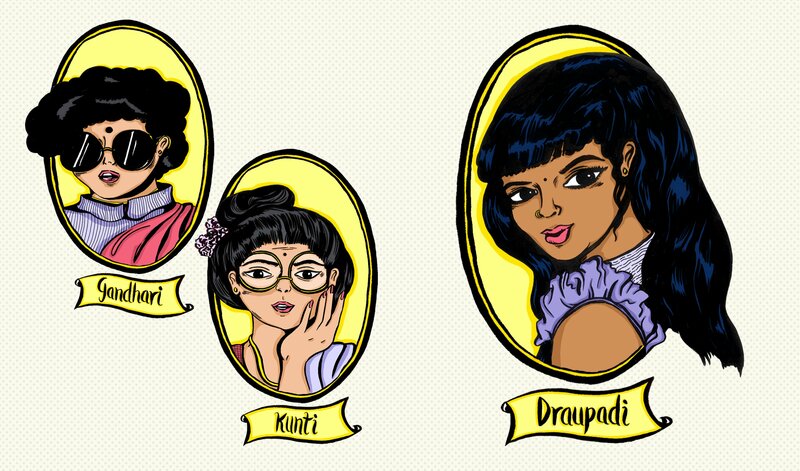 "It was like I was commenting on subjects that are taboo, voicing all my opinions and those of all the women I interviewed, through Kunti, Gandhari, and Draupadi." Writing in satire was a whole new challenge for her. She had to make sure the narrative wasn't repetitive, boring or tiresome. 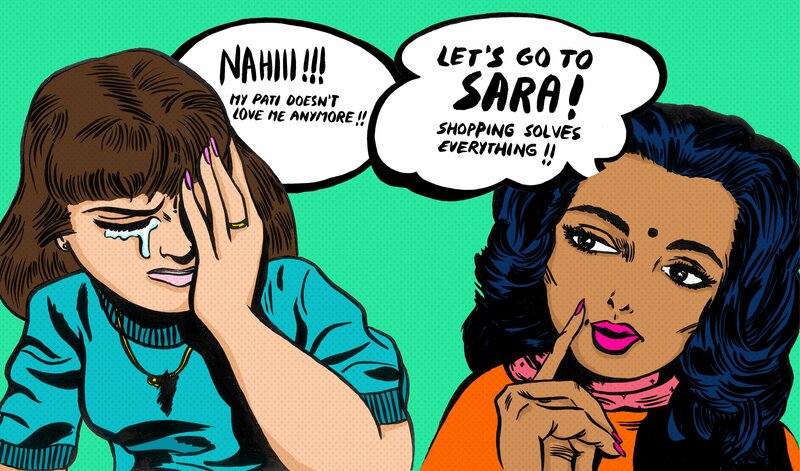 The style of the zine has a heavy pop art influence, which was also a departure from her usual artwork. 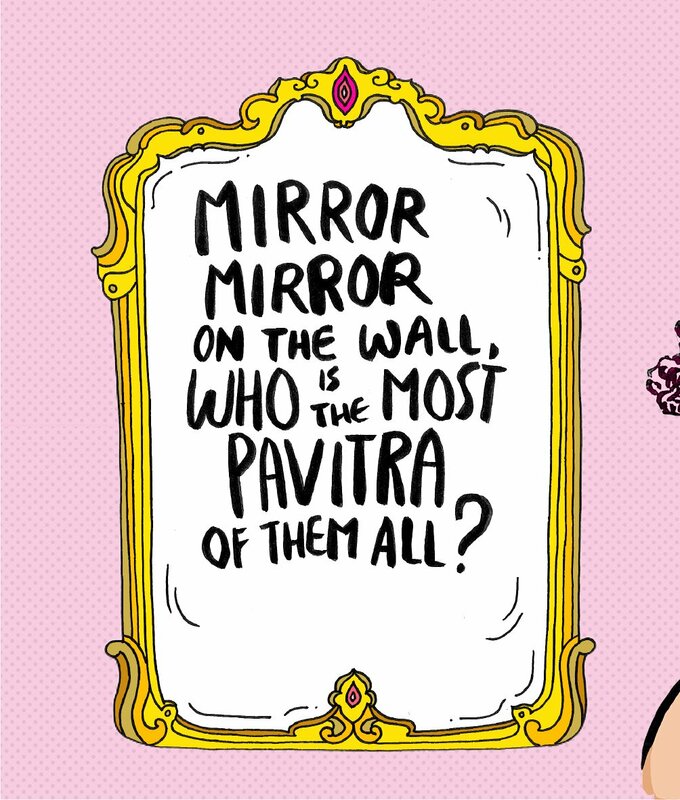 Speaking about her illustrations, she said, "I actually drew inspiration from Amar Chitra Katha and Panchatantra in which I read many of these stories. I thought it would be interesting because that style is rather nostalgic and combined with a pop-art approach, it made the zine very dramatic." She designed the three main characters based on her own interpretation of their personas in the story. For example, she gave the traditionally-blindfolded Gandhari dark glasses. She wanted a contemporary representation and worked to find the middle ground between sticking to the story and redefining it. She also wanted to explore the three characters who are from different generations and backgrounds, and have diverse personalities. She felt that these characters were iconic, and they could perhaps be role models for young girls and have an impact on their understanding of our society and culture. During the making of the zine, she got a lot of bizarre questions. People asked her why she was being 'such a feminist' or why she wasn't representing the men as 'there may have been another side to it too'. "That's when I realised just how ignorant some people who claim to be of modern thought really are. What keeps me going is the need to change the mindset of people like that." For Annushka, the Mahabharata is a story with real, flawed characters, and that's what drew her to it. "The epic has been carried through generations, and I realised how important it is for it to remain relatable. The reason for sticking to Kunti, Gandhari, and Draupadi's stories was that they shared an intriguing dynamic and were also instrumental in many of the decisions which could change the course of the story." While she creates more art, like her ongoing 365-day illustration project, we hope more artists create something that challenges the norms of society.